Novartis Vaccines & Diagnostics is a research oriented company, which has developed a wide network of international academic collaborations sharing its findings with the wider scientific community by publication in prestigious peer reviewed journals. The Research Centre in Siena, that hosts more than 150 scientists who, under the leadership of Dr Rino Rappuoli, is dedicated to the discovery and development of innovative vaccines against a broad range of pathogenic bacteria and viruses. In particular two novel vaccines have been discovered and taken to market (acellular recombinant pertussis and meningococcous C conjugate), and two other are currently in clinical trial (recombinant H. pylori and recombinant serogroup B meningococcus). 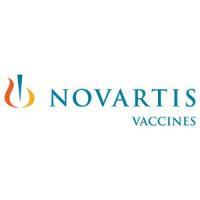 Novartis Vaccines & Diagnostics (NOV) will be involved in WP5 to investigate the influence of sequence variation of meningococcus fHbp on immunogenicity and binding to fH. NOV will be also involved in WP5 for the nucleotide sequence analysis of bacterial genes encoding other targets of the complement system. NOV will be involved in WP11 to translate the results of this collaborative project into clinical benefit (e.g. diagnostic tools, rationally designed vaccine formulations).